The University will be closed for the Fourth of July holiday on Tuesday, July 4. However, the University will be open as usual on Monday, July 3. On December 20, the University of Evansville Men’s Basketball team will play in one of the top atmospheres in college basketball, making the trip to Durham, North Carolina, to take on Duke University at Cameron Indoor Stadium. Duke has won five NCAA Championships while making 11 championship games and 16 Final Fours. The Blue Devils also have the top NCAA Tournament winning percentage at 75.5%. “We have a ton of respect for Mike Krzyzewski and their program. This is another great contest to add to our schedule for 2017-18,” Simmons added. December’s game will be the first-ever meeting between the two schools. The program will be offering its fans the unique chance to join the team for the game. For information on how you can make the trip with the Aces, click here: www.uealumnionline.com/MBBDuke. Sign up for the Summer Healthy Behavior Challenge. Track daily water consumption and physical activity to earn points. Earn bonus points by completing the weekly challenge. Those who successfully complete the challenge will earn additional HRA credits. E-mail ac375@evansville.edu to sign up. Challenge runs June 18-August 12. Sign up by e-mailing Ashley at ac375@evansville.edu. Complete a weekly tally sheet. These are in AceLink under the Wellness tab. The tally sheet includes your fluid consumption, exercise, and whether the weekly challenge was met. Return weekly sheets via e-mail or by dropping sheets into the collection boxes in the Medical Clinic. Please tally your points weekly. Top four point-earning participants will each receive a $50 gift card. HRA participants will receive $150 credit for their account for any total point accumulation of 450 points (about 75 percent of the ideal number to earn). Points must be earned from a combination of all activities. Receive one point for every 15 minutes of aerobic/cardiovascular exercise (e.g. 30 minutes = two points, 60 minutes = four points). Ideally, you will earn at least 10 points weekly. The current recommendation for cardiovascular health is 150 minutes of aerobic activity weekly. Thirty minutes of walking, biking, swimming, etc., for five days each week is a good way to accomplish this. Besides cardiovascular activity, strength training is recommended at least twice a week. Stretching and balance exercises are also good. Receive one point for every eight ounces of water consumed (e.g., 40 ounces = five points, 64 ounces = eight points). Ideally, you will earn at least 56 points weekly. You may use enhancers to water like Crystal Light or just squeeze something like lemon into the water. Sodas don’t count. If you are replacing fluids because of heavy sweating/exercising, you may use replacement electrolyte drinks like Gatorade as long as every other drink is plain water (e.g. eight ounces water, then eight ounces sports drink, then more water). Most of us don’t need an electrolyte replacement on a routine basis. Award yourself 10 points for weekly challenges met. Ideally, you will earn 10 points every week. University Symphony Orchestra/String Chamber Ensembles are calling for musicians! Students, staff, faculty, and administrators are invited to play in the University Symphony Orchestra and String Chamber Ensemble. The University Symphony Orchestra meets on Monday at 5:30 p.m. and Wednesday at 4:00 p.m. The String Chamber Ensemble meets on Thursday at 4:00 p.m. in the Krannert Hall of Fine Arts. Come join us! The employees of the University of Evansville are again invited to play golf with other UE employees on Thursday afternoons during the summer months. The UE golf outings will be on Thursday afternoons at 3:00 p.m. at Fendrich golf course. You can reserve your tee time by contacting Debbie Kassenbrock in the Center for Academic Advising at dk26@evansville.edu or 488-2605 by 4:30 p.m. on the Wednesday prior to the outing. The second member of the 2017 University of Evansville Baseball team has been taken in the Major League Baseball Draft as Trey Hair was taken by the Tampa Bay Rays in the 34th round on Wednesday. A native of Firth, Nebraska, Hair was a 2-time All-Missouri Valley Conference Second Team selection in his two seasons with the Aces. As a senior in 2017, Hair batted .297 while leading the team in runs (37), RBI (43), walks (37) and doubles (21). His 21 doubles ranked third in the MVC. Hair burst onto the scene in his first season at UE in 2016. He led the teams in several categories as a junior including hits, runs, doubles, home runs, total bases, and RBI. He is the second player to be drafted from UE in the 2017 draft joining Connor Strain, who was picked up by the Los Angeles Dodgers in the ninth round on Tuesday. University of Evansville senior right-handed pitcher Connor Strain was drafted by the Los Angeles Dodgers in the ninth round of the 2017 Major League Baseball Draft on Tuesday afternoon. Strain was the 280th overall pick in the draft. The fifth-year senior recorded a 2-5 record in 2017, but put up stellar numbers. He posted an impressive 2.62 ERA in 14 starts. Strain fanned 68 batters in just over 68 innings of work. The 2.62 ERA accumulated by Strain in 2017 was second-best in the Missouri Valley Conference and tops among all full-time starting pitchers. He was recognized for his efforts with a berth on the All-Conference First Team. Over the course of his senior campaign, the Shelburn, Indiana, product had a scoreless streak of 15 innings while allowing just two runs over five starts in the month of April. 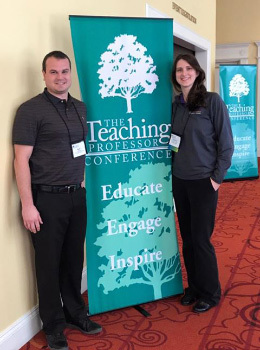 UE professors recently attended the Teaching Professor Conference in St. Louis, Missouri. The conference focused on the latest research of teaching in higher education, and was a collaboration of the nation's top professors. Among the topics covered were course creation, student engagement, outcome improvement, classroom technology, improving outcomes, and closing the skills gap. UE professors who attended were Kyle Matsel, Bethany Huebner, Manahari Adhikari, Pengcheng Xiao, Yolanda Obaze, Kristina Hochwender, Lisa Kretz, Cris Hochwender, Annette Parks, and Wendy Thomas. 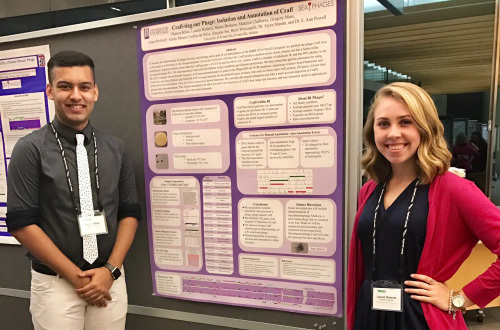 UE students Humza Khan and Lauren Roberts attended the Howard Hughes Medical Institute's ninth annual SEA-PHAGES symposium at the HHMI Janelia Research Campus, where they presented a poster titled "Craff-ting our phage: isolation and annotation of Craff." This poster summarized research performed by the students in Biol 119H and Biol 299 during the 2016-17 school year. Students in Biol 119H isolated, purified, and characterized bacteriophages that infect soil bacteria, and students in Biol 299 examined and annotated the genome sequence of one of these bacteriophages. In addition to Humza and Lauren, the poster was also co-authored by Shane Bentsen, Makayla Claiborne, Skip Maas, Anna McGriff, Émile Moura Coelho da Silva, Sanjana Sai, and Brett Weinzapfel. This course-based research project was led by associate professors of biology Ann Powell and Joyce Stamm. The leading scorer in University of Evansville Women’s Basketball history will play at the next level as Sara Dickey has inked a deal to play in Portugal in the upcoming season. Dickey will be playing for Clube Juvenil Boa Viagem. The club is located in Angra do Heroismo, Portugal, in the Azores region of the country. Founded in 1976, her team plays in the Liga Feminina in Portugal. The team has enjoyed success over the years and has won several tournament championships. With 2,099 points in her illustrious career, Dickey left the program as its all-time leading scorer and the 10th-best point total in Indiana Division I women’s basketball history. That tally was also sixth in the Missouri Valley Conference record books. Research by Andrew Nunn, Michelle Sonnenberger, and Matt Roberts – under the direction of professor of biology Cris Hochwender - was published in the most recent volume of the Proceedings of the Indiana Academy of Science. Nunn and Sonnenberger are graduating senior biology majors and Roberts graduated from UE with a degree in environmental science in 2016. Their study suggests that deer may prevent tree species from transitioning above browse-level and into the mid-story strata. Given time, these changes could lead to a loss of diversity in the canopy, as replacement will consist of only those few species which escape deer browse. In addition, their research suggests that pawpaws may limit access of many tree species into the overstory. The loss of diversity in the forest community could cause wide-ranging alterations in the forest community. The study has helped to launch a long-term, manipulative experiment examining the importance of both deer browsing and pawpaw on forest regeneration at WWNP. Richard W. Maass, assistant professor of political science, was recently interviewed by 88.3 WNIN FM about reports that Russian hackers targeted US election systems. 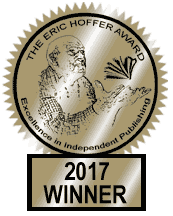 Check out the interview on WNIN’s website.